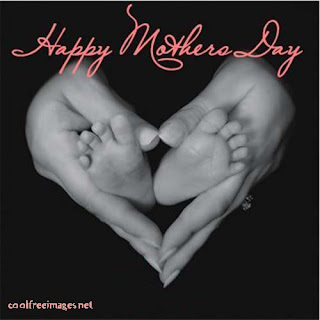 I want to wish all my lovely readers a wonderful and blessed Mother's Day! In honor of this day, I wanted to post an article that blessed me in hopes that you too will be refreshed and refocused on the high calling of mothers....enjoy! O' for mothers to hold in their hands a child who's soul is eternal and to grasp the vision of changing the world through her mothering as she purposes toward multigenerational faithfulness. To look into the eyes of her child and know that God has put a purpose for that child here on earth--to advance the kingdom of heaven-- which is glorifying the Father he serve's above. Mothers also put on earth for royal purposes, to raise children for the King. Shaping and molding them to become one day warriors for the Lord. Who will not just feed the poor in secret but also help direct and change the course of a nation. History has proven time and time again, that one person can change the course of history. You never know who you might be raising. Susannah Wesley never knew the child she rocked in the cradle would take England by storm. John Wesley started a movement and said, "If I can find ten men who hate nothing but sin, love nothing but God, and seek nothing but the souls of men, we can turn England upside down for God." This man, did indeed with the help from God, turned England upside down for God. Mothers, do we understand that what is done in the four walls of our home--that it is holy work done to the Lord? As we teach that small child to stand, are you praying that one day he will stand strong for the Lord against wickedness? As you teach him to walk, are you teaching them to walk to the lost and preach the gospel? When you teach them to read, are you telling them that one day they will read the Word to the masses and that lives will be transformed forever? In other words are you raising your children to be world changers? Yesterday I gathered all my children together and shared with them how God gave them life for the soul purpose of changing the world---for HIM. Who is the child who understands his purpose in life---his calling? Where is the child who has been whispered to and reminded that he will one day change the world since he was a wee babe? How would our lives have been different had our mothers embraced such a vision? As mothers we need to equip our children well to do the work the Lord has assigned for them to do. We must diligently teach scripture, we must teach godly character, we must teach love for the Lord and the lost without growing discouraged ourselves for we have the Masters work at hand, an honorable and momentous responsibility! We must understand that lost souls could be at stake and nations could be destroyed if we do not fulfill this high calling of motherhood. We cannot simply render ourselves weary and ultimately give up. Do you notice that little boy who is playing in the sandbox? He might very well be the world's next church planter. That little girl in the corner who is quietly playing dolls might one day raise a martyr for Christ. The little baby in your arms whom you cradle today could very well go to Africa one day and share the gospel to the lost tribes. I am convinced that the greatest world changers have not been written about in history books, and that only God knows who they are. They are God's best kept secrets. They are the unnoticed people in society-the old man you brushed by walking to the store today. They are the ones who do great and mighty works in private where only He sees. They are the ones that make a difference through the one small, powerful act that the Lord had assigned them to. These will be richly rewarded in Heaven for their faithfulness---we will find them seated at the right hand of Christ in Heaven! Our lasting influence impacts future generations through our children, our grandchildren and great grandchildren whether for good or for evil. Which are you raising for the Lord? Descendants who could be an army to take the world by storm or descendants who build up alters to false gods? We must revive the vision of multigenerational faithfulness! We cannot change our homes through the efforts of our flesh---it comes from grace and power from God alone---but we are required to do our part. We cannot fall short of this glorious vocation because our Lord has called us to it. And where He calls us to- we must obey. Now in of honor those great mothers who have come before us who have sacrificed their lives, gave unselfishly, wept in the dark to the Savior and persevered to the end---we applaud you! You have paved the way for us behind you! The Lord has used you as a mighty instrument in His hand and you are surely called blessed among your children. Your dedication has lasting power that is the sweet aroma of Jesus Christ. God certainly uses the weak to shame the strong. And he uses ordinary people who serve an amazing God that has extraordinary plans to help us reclaim our vision for motherhood and build a godly nation for Him.